Title: STEAMER POINT. ADEN. 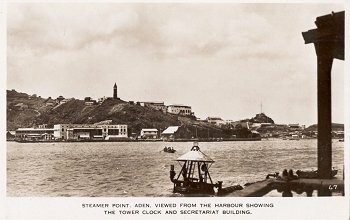 VIEWED FROM THE HARBOUR SHOWING THE TOWER CLOCK AND SECRETARIAT BUILDING.